PLEASE CONTACT US FOR CANADA SHIPPING QUOTE. New lids arrival in June. 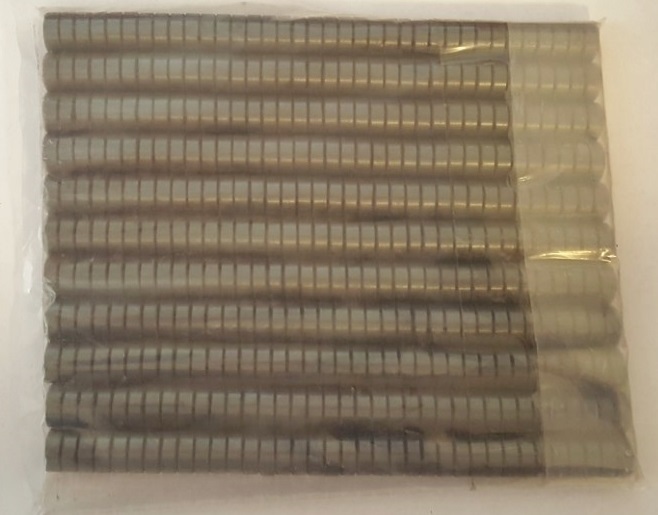 Ferrite Magnets / Ceramic Magnets / Disk Magnets / Craft & Bottle Cap Magnets *** Beveled edge treatment generally adds 20% to the magnet cost. Beveled edged magnets are easier to work with and are an excellent choice for surface protection. Please order in increments of exact qty specified in each size. Please only complete packages. No partial breakup quantities. Your order may not ship. Bulk packed. 396pc per pack. Sold only by 396pc pack 3c each. $11.88 per 396pc pack. 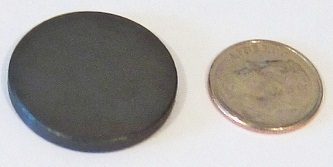 Grade C8 (Strongest Ceramic Magnet) with beveled edges. 1/2" Round disk X 4.8mm thick. 3/4" Round disk X 4.8mm thick. Grade C8 (Strongest Ceramic Magnet) Ceramic Ferrite Magnets with beveled edges. Please order in increments of exact qty specified in each size. No partial breakup quantities. Your order may not ship. 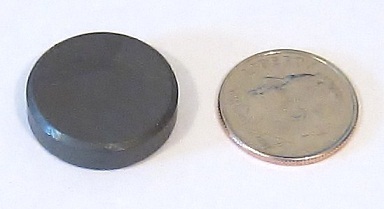 Neodymium Magnet / Permanant Magnets / Hook magnets / Craft, Bottle Cap Magnets. Nickel coated Neodymium Rare Earth Magnets also known as NdFeB magnets. 4mm Dia x 1mm Disk N42 Grade. 8mm Dia x 1mm Disk N42 Grade. 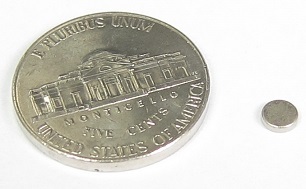 8mm Dia x 1.5mm Disk N42 Grade. 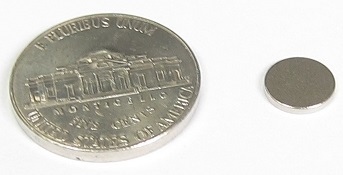 12.7mm Dia x 1mm Disk N42 Grade. 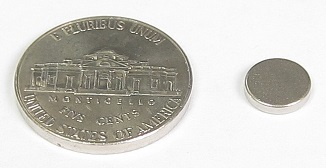 12.7mm Dia x 2.5mm Disk N42 Grade. 19.5mm Dia x 2.5mm Disk N42 Grade. 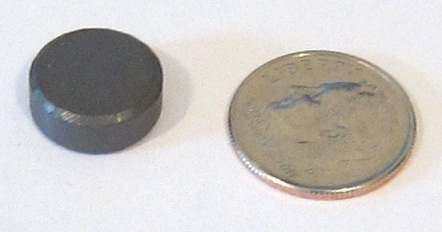 25.5mm Dia x 1mm Disk N42 Grade. 2 inch dia. 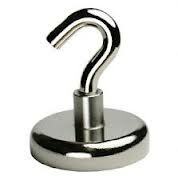 185LB Pull Force Neodymium Hook Magnet.